Increase license suspensions of those who fraudulently use or display the permits from 30 to 60 days on first offense and from 90 to 120 days for second offenses. Establish a $50 fine for those who obstruct or remove the expiration dates or serial numbers on permits. Lets the RMV require documentation for permit issuance and to hold applications until documentation is received. Levies a $500 fine on those who make false statements on permit applications the first time. Second-time offenders will pay fines of $1,000. The bill moves to the state House of Representatives next. Read more about it here. Unfortunately, the abuse will continue until the incentive of free parking is taken away or severely restricted. Catching abusers multiple times is tedious work and becomes more difficult once they realize you’re looking for them. Restrict free parking to the truly disabled (like NY or IL) or stop it altogether and the need for all these other regulations will drop to nothing. In Michigan you have to get a special permit to park for free, not everyone is given that privilege. I think part of it is just plain laziness, if people can park closer to the door and don’t have to walk as far, they’ll do whatever they have to, to be able to do that. I think part of this has to be put back on the doctors who sign the paperwork in the first place. 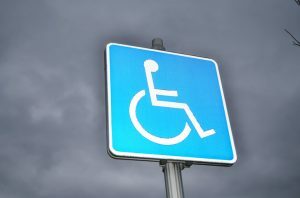 I think there are many people who do not really need the accessible parking that take the paperwork to their doctor and the doctor just signs it. They also need to put a higher penalty on people who get caught using a friend or relatives parking permit when that person is not in the car with them. You should look at store owner who does not replace broken handicap signs. I see lots signs in side store windows and not 5 ft eye level. Maybe a $300 fine would get ther attention. I live in Bourne, but see it all over the Cape. Once the store is put up it meets all the build codes, but as years go but the signs go bad. The big food stores do a good job on up keep.